Look at Egypt on Google Earth and you will see a green line snaking through a sand-colored landscape, fanning out into a triangle in the north. This emerald ribbon is the vegetation that grows on either side of the Nile River and around its delta. It is Egypt’s only fertile land — and testament to the country’s reliance on this fabled waterway. The Nile River Basin extends to 11 African countries, but Egypt — one of the oldest civilizations in the world — has controlled the river and used the lion’s share of its waters for millennia. The Blue Nile River is the Nile’s largest tributary and supplies about 85% of the water entering Egypt. Ethiopia is building its $5 billion Grand Ethiopian Renaissance Dam (GERD) on the Blue Nile, near the border with Sudan. When completed, it will be the largest dam in Africa, generating around 6,000 megawatts of electricity for both domestic use and export. Ethiopia’s ambitious project is designed to help lift its fast-growing population out of poverty. But the new dam also puts management of the flow of the Blue Nile in Ethiopia’s hands — and that has sparked a power shift in the region. 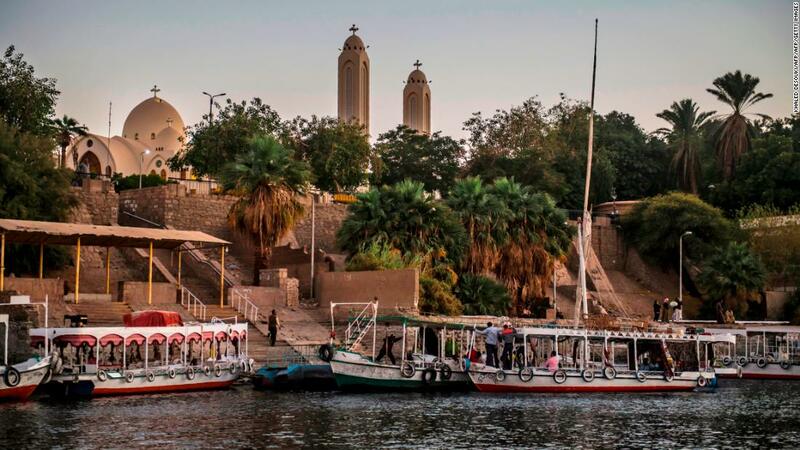 For the Egyptians, the Nile is, literally, a lifeline. The vast majority of the country’s 97 million people live along its banks. “It’s like somebody has control over a tap. If the Ethiopian people for some reason want to reduce the amount of water coming to Egypt, it would be a great problem,” says Aly El-Bahrawy, professor of hydraulics at Cairo’s Ain Shams University. Water scarcity is a serious issue in the north African nation, according to the UN’s Food and Agriculture Organization (FAO). In 2014, Egypt had 637 cubic meters per capita, compared to 9,538 cubic meters per capita in the United States — nearly 15 times as much. With its population predicted to reach 120 million by 2030, Egypt is on track to hit the threshold for “absolute water scarcity” — less than 500 cubic meters per capita — according to the FAO. And that’s without factoring in any complications caused by the dam. Although it is most strongly associated with Egypt, neither of the Nile’s two sources are situated in the country. The White Nile begins at Lake Victoria — Africa’s largest lake, which sits between Tanzania, Kenya and Uganda — while the Blue Nile originates at Lake Tana in the Ethiopian Highlands. The two rivers merge near the Sudanese capital Khartoum to form the main waterway, which flows north through Egypt to the Mediterranean. Egypt’s claim on the Nile’s waters has, however, been enshrined in law for nearly 90 years, in the Anglo-Egyptian Treaty of 1929, signed between Egypt and Great Britain, and the 1959 Bilateral Agreement between Egypt and Sudan. Collectively known as the Nile Waters Agreements, the treaties grant 18.5 billion cubic meters of water a year to Sudan and 55.5 billion cubic meters to Egypt. The Nile Waters Agreements allocated no water to Ethiopia — even though it is home to a major source — or the other eight countries of the Nile Basin, whose rivers feed into Lake Victoria and contribute to the White Nile. What’s more, the agreements granted Egypt veto power over construction projects on the Nile River and its tributaries anywhere upstream. 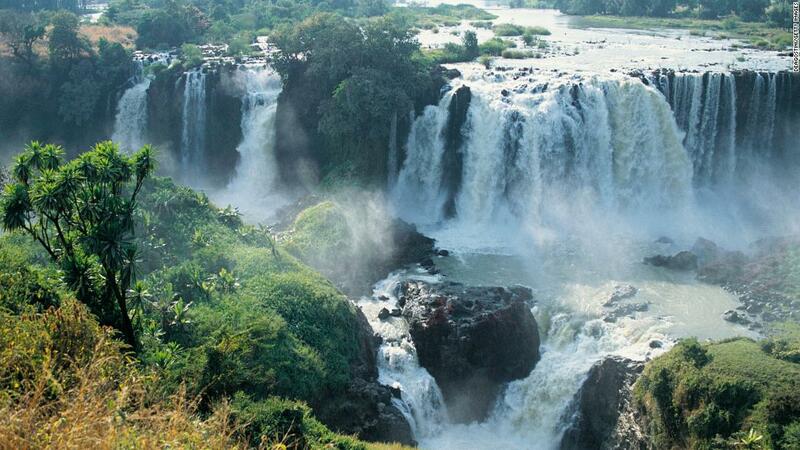 The Blue Nile Falls — located near the river’s source, Lake Tana in Ethiopia. Egypt not only needs the Nile waters, it believes it has a legal and historical right to them. Other countries disagree. “The Nile River Basin’s upstream riparian states argue that the Nile Waters Agreements are unfair, inequitable and unsustainable,” says Mbaku. Upstream countries, including Ethiopia, maintain that “they are not bound by these agreements, because they were never parties to them,” Mbaku says. In 1999, the Nile River Basin States started negotiations to design a legal framework that would provide for a fairer allocation of the Nile’s waters, but Egypt and Sudan would not compromise on the “absolute protection of their prior rights” and no consensus was reached, says Mbaku. 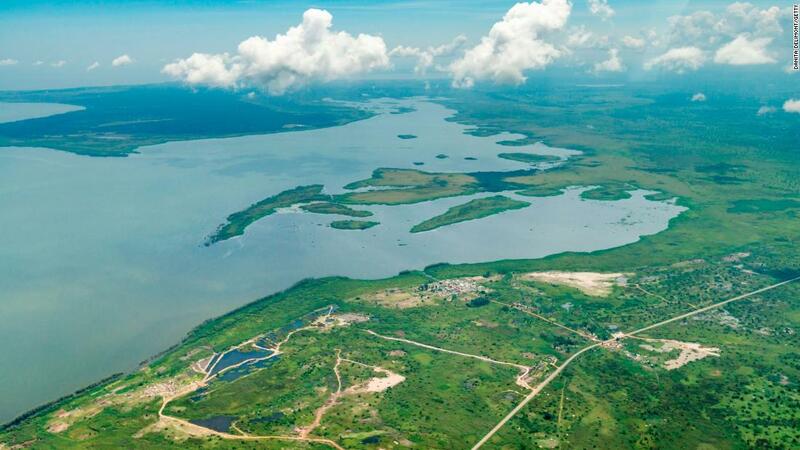 Lake Victoria — source of the White Nile. It’s not just about water, El-Bahrawy adds. There’s an emotional element, too. Negotiations between the Nile River nations had rumbled on for over a decade when, in 2011, the Ethiopians made the bold decision to build the dam — without consulting Egypt. When Egypt’s initial threats failed to make an impact, they tried a more diplomatic approach instead, says Mbaku. “The decision by the Egyptian authorities to talk directly with Ethiopia … represented an important but predictable shift in Cairo’s attitude,” says Mbaku. In March 2015, the heads of state of Egypt, Sudan and Ethiopia met in Khartoum to start negotiations over the filling and operation of the dam. Numerous meetings have followed, but a settlement has not been reached. The Nile Waters Agreements have proved a particularly intractable sticking point: “While Egyptian officials say publicly that they want to talk with the Ethiopians … they still think those agreements should be honored,” says Mbaku. In 2017, with around 60% of construction completed, talks broke down and Egypt scaled up its rhetoric again, but this year, the tide seemed to be turning. In May, the irrigation ministers of all three countries agreed to establish a scientific study group to assess the impact of the dam on downstream flows. A month later, Ethiopia’s new prime minister Abiy Ahmed visited Egypt and reassured Egyptian president Abdel Fattah el-Sisi that he wanted to aid development in Ethiopia without harming the Egyptian people. Abiy took office in April 2018 and has gained credentials as a proactive peacemaker by ending his country’s cold war with Eritrea. Mbaku believes that Abiy seeks harmony rather than confrontation with his regional neighbors, but cautions that the Ethiopians know they are now bargaining from a position of strength. The vast majority of Egypt’s population live along the banks of the Nile and around its delta. How much time Ethiopia will spend filling the dam’s reservoir is a critical issue for Egypt and has been the focus of recent negotiations. The quicker the fill, the less water will be released downstream during that time. The weather is another key factor. “If there’s an alignment between the filling and a drought, then even a slow fill could be problematic,” says Wheeler. “Everyone should hope for rain during those years,” he adds. Khaled AbuZeid, secretary general of the Egyptian Water Partnership, a non-governmental organization, says he is more worried about “accumulative long-term losses caused by the dam once it is in operation.” At present, he says, when the river flows are high, Egypt stores water in Lake Nasser, the reservoir behind its own dam — the High Aswan Dam — which it then extracts during dry years. 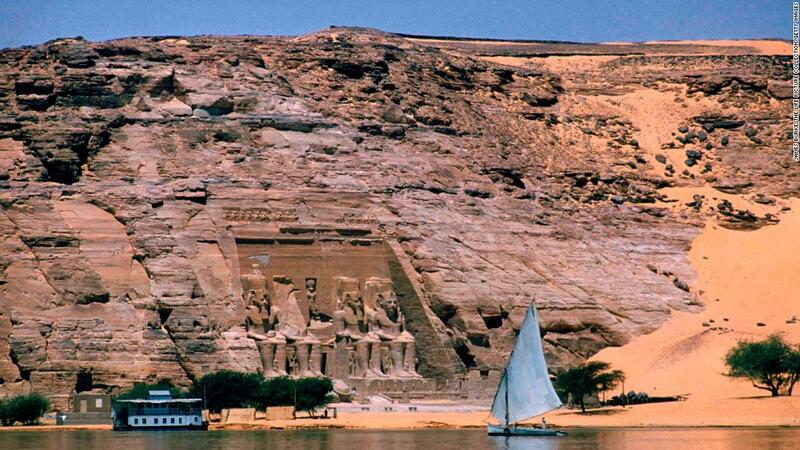 The Abu Simbel temple complex — seen here in 1960 — had to be relocated when the High Aswan Dam was constructed. 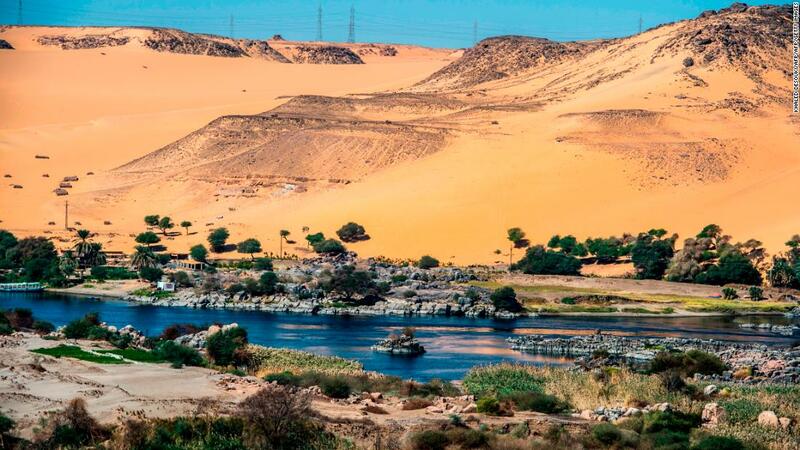 Losses from the GERD will be partially offset by a reduction in evaporation from the High Aswan Dam, but AbuZeid calculates that the net additional losses from the GERD could amount to 60 billion cubic meters over a 10-year period. His research has indicated that in dry years, up to 625,000 acres of agriculture land could be put out of service, resulting in economic losses of about $2 billion per year, and leaving up to one million farmers and workers jobless. “It would also reduce hydropower generation by the High Aswan Dam by up to 40 percent,” he says. Egypt is taking steps to shore up its water supply by other means: recycling agricultural drainage water and treated wastewater, increasing the number of desalination plants that supply coastal areas, and restricting the cultivation of water-intensive crops including rice, sugar cane and bananas. The GERD was supposed to be finished in 2017, but due to delays, it is only two-thirds complete. In August, construction stalled when the Ethiopian government took the contract for turbine installation away from Metec, a state-owned company, in an effort to stamp out corruption. 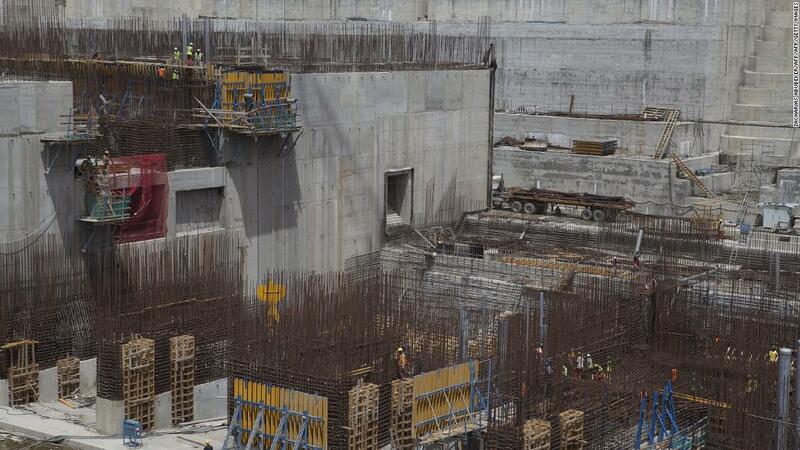 The Grand Ethiopian Renaissance Dam under construction in 2015. But Egypt’s reprieve is only temporary. Once Ethiopia’s grand project is back on track, close cooperation between Ethiopia, Sudan and Egypt will be essential if the negative impacts of the dam are to be kept to a minimum. A successful outcome will require political savvy, compromise and goodwill. Wheeler says that transparency over information, and the development of effective data-sharing and communication platforms, are also crucial. No one yet knows how these mechanisms will work, but what’s clear is that Egypt can no longer bank on the water allocation it has received until now and that Ethiopia’s dam will grant the country a greater level of political influence. Mbaku points out that for the first two Nile Waters Agreements, Ethiopia wasn’t even consulted. “Now, Egypt is not as domineering as it used to be, and the Ethiopians are in a very strong position to dictate terms,” he says. As water becomes an increasingly scarce and contested resource in many parts of the world, all eyes will be on the test case being played out along the Nile.